Wow, 2 cards in one day, for 2 different challenges? Go me! 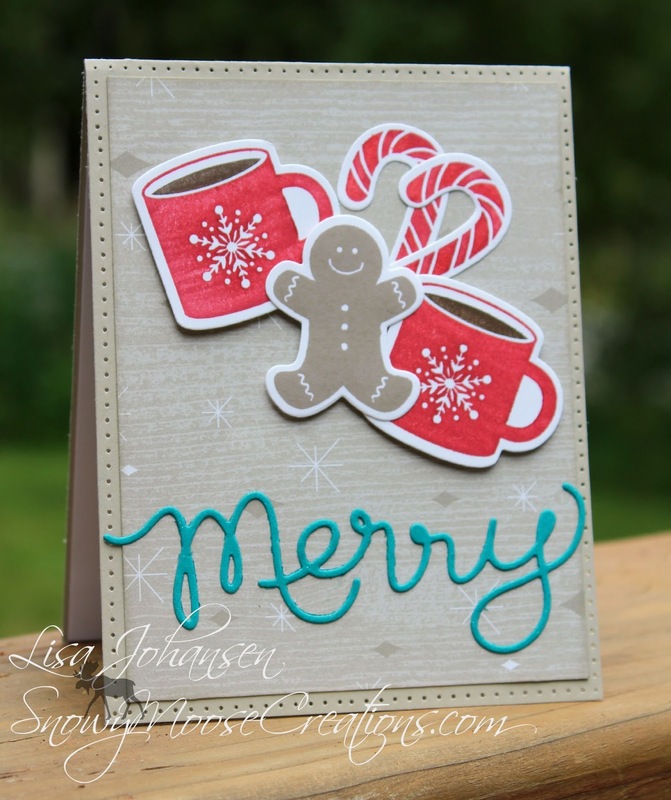 This card is for the Jingle Belles challenge, they have an awesome inspiration photo this week! For some reason I thought I had missed out on this particular challenge so boy was I happy to see a reminder post come across my feed from them! I thought I had a Santa image where he was giving cookies to kids but I couldn't find it anywhere so maybe it was just all in my head. LOL Instead I pulled out a retired SU set and used the colors from the photo along with the theme of treats for Santa. My layout was inspired by a recent Freshly Made Sketches post, although I ended up deviating a bit from the sketch by adding the candy canes. The 2 cups and the gingerbread man just seemed a little plain to me and I needed to add a little something extra. I used a clear Wink of Stella pen to add sparkle to my "Merry" sentiment but you can't see it very well in the photo. It sparkles nicely in person though! 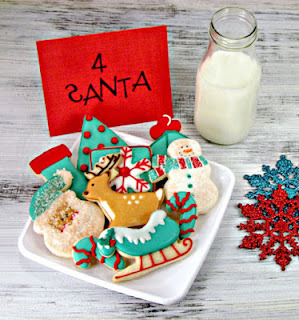 Make sure to head over to the Jingles Belles blog, there is still time to play along with this challenge! Woah, this is a perfect card! Love the kraft feel of it with the red-teal color combo. Lisa, I was drooling when I first saw your card for Sunday Stamps! Absolutely rocks!